Everything about Fast Charging and Quick Charge 4.0 and 4+ Explained !! Hello Friends and dear visitors, Today's Post is about fast charging...Oh really does this fast charging happens ?? Yes !! It happens. We always watch advertisements of mobile phones covering the phase saying that the phone is having a fast charging feature.What do these smartphones have in special...So let's explore everything we need to know about fast charging. When we talk about fast charging, It is referred by the term Quick Charge. So, Quick Charge basically is a technology we find in Qualcomm Snapdragon Chips which we have in our smartphones and this technology is based on INOV ( Intelligent Negotiation For Optimal Voltage). This INOV manages the voltages and allows the phone to charge faster than normal time. Qualcomm have initiated this fast charging technologies since 2013. Just to get look on some fast charging history Let's just view it's timeline. We saw that this Quick Charge 4.0 and Quick Charge 4+ is released in 2017. Now, Let's just discover more about these latest releases. When we talk about Quick Charge 4.0, It's not just faster but it's more efficient. When we say it's fast charging then off-course the phone will be heated but the Quick Charge 4.0 has the feature of cooling. Let's See the features of Qualcomm Quick Charge 4.0 in Detail. 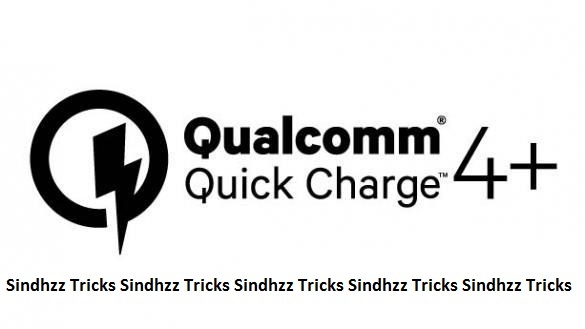 Qualcomm says that this as it records that charging 5 minutes with Quick Charge 4.0 gives us 5 Hours of more charging. Qualcomm says that Quick Charge 4.0 will charge phone from 0% to 15% in just 15 Minutes. Qualcomm Charging supports USB Type C and all types of power Delivery Options. This Feature adds feature of extending battery life as long as possible. This is done by managing the voltages and currents. 5. INOV ( Intelligent Negotiation For Optimal Voltage). This is Technology used for Quick Charging and Quick Charge 4.0 supports this algorithm up to 20mV. Now, What is Dual Charge ?? This is a feature which will divide the power and allows the device to manage heat dissipation and this also helps in extending battery Life. This was all about Snapdragon Quick Charge 4.0. Let's see about Snapdragon Quick Charge 4+. 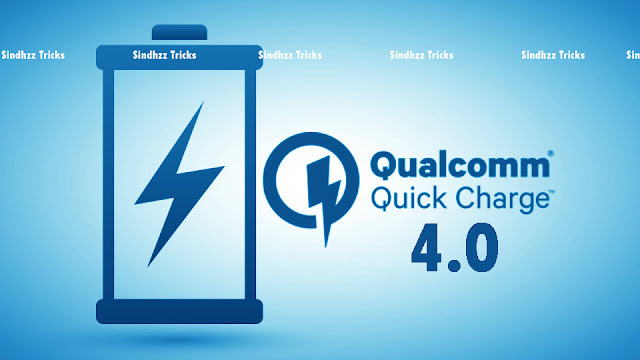 Quick Charge 4+ is a new milestone in Qualcomm Technologies.It does not have new features but it adds "+" to "Quick Charge 4.0". Following are the features of Quick Charge 4+. Already Discussed in Quick Charge 4.0. Quick Charge 4+ goes one step further and is designed to monitor both the case and connector temperature levels simultaneously. This extra layer of protection helps ward against overheating and short-circuit or damage to the Type-C connector. ↳ With Dual Charge, Intelligent Thermal Balancing, and Advanced Safety Features incorporated in a device design, that device has the potential to charge up to 15 percent faster, or 30 percent more efficiently when compared to Quick Charge 4. ↳ Accessories such as wall adapters, car chargers, portable battery banks, and USB hubs can also qualify for Qualcomm Quick Charge 4+ designation. Such an accessory will include backward compatibility with Quick Charge 3.0 and Quick Charge 2.0. Having a 4+ certified accessory will help ensure that your existing Quick Charge 3.0 and 2.0 enabled devices will work with the latest commercially available adapters. ↳ Till now the only phone announced with Quick Charge 4+ is nubia Z17. The nubia Z17 is one powerful smartphone featuring, in addition to Quick Charge 4+ and a 3200mAh battery, the Snapdragon 835 mobile platform with an impressive 8GB RAM and 128GB memory, 23+12 megapixel dual rear camera, and a 5.5” FHD frameless display. Okay so, our main purpose of writing this type of post was to advance you. After reading this post, Make Sure your new phone is having Quick Charge 4+ feature. This was Small Guide on Quick Charge Technology and and somewhat detail about Quick Charge 4.0 and Quick Charge 4+. This is so informational. I was always curious regarding the two types, but all my confusion has now been cleared, thanks to your article. Great article! Subscribe us to get all our juicy article fastly. You know how and where? Directly on your inbox! Just enter your nice and good looking email id below and click on subscribe button! After that, verify it through the verification email and start learning more!